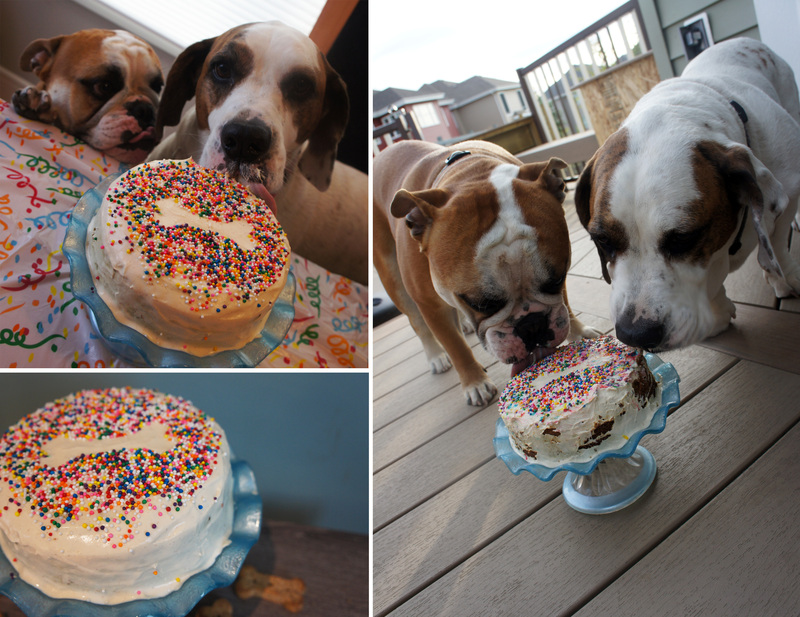 This week we celebrated a very special birthday in our house – our loveable hound dog turned 6 on August 19! I have always made an effort to celebrate the dog’s birthdays in our house, but this one was particularly meaningful to me because it is the first 6th birthday we have gotten to celebrate. Our sweet Bullini sadly passed shortly before her 6th birthday. For her birthday, I baked Nova a birthday cake and the kids and I went to the pet store and picked out a couple new toys for the dogs to enjoy. 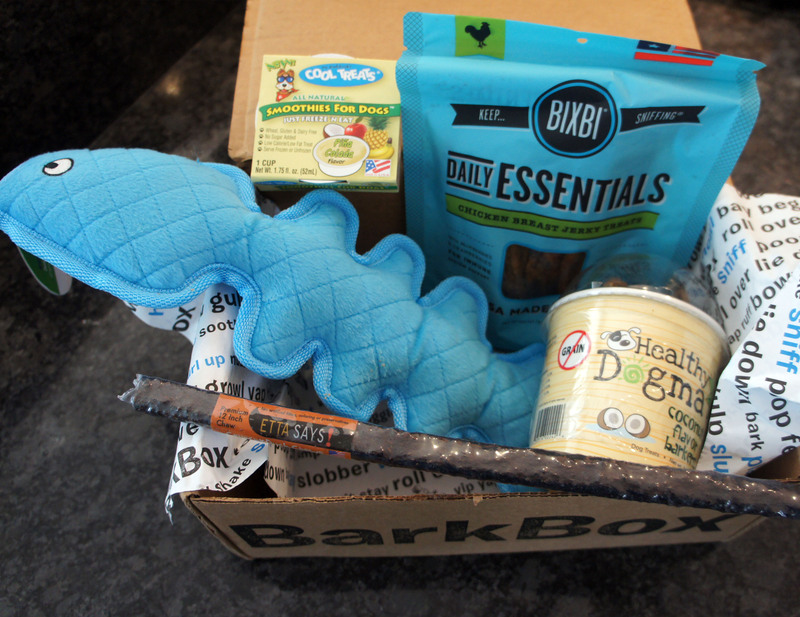 On top of that, I had decided to sign up for BarkBox last month and our first one arrived at the end of July. As eager as I was to see what was inside, I decided to hold off opening it until Nova’s birthday. Both dogs, and the kids, couldn’t wait to see what was inside the box. I was hesitant ordering the BarkBox, but after good reviews from my sister I decided to take a chance. I was super impressed with the first box and can’t wait to get our next! The dogs love the Bixbi Chicken Jerky Treats and the Healthy Dogma Coconut Flavor Barkers smell so good that I am not even disgusted by the fact that my 2 year old keeps sticking them in her mouth! I also was worried about the quality of toy, but the Loopies Floppy Fishbone passed my tug test and looks like it will actually stand up to my heavy pullers. We are blessed to have Nova in our lives. She is so sweet and loving. The kids crawl all over her and she is nothing but patient with them. One of Keira’s first words was, of course, “dog” and she was quick to expand it to “hound dog”. 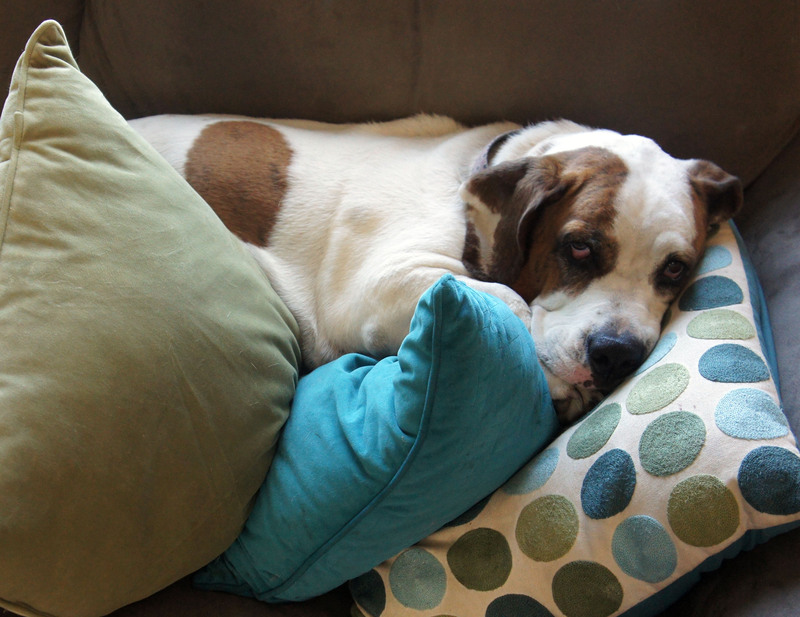 Nova is a sensitive soul and hides if there is too much noise or excitement, but never strays too far from the family. Her favorite spot in the new house has become the back bench and it brings a smile to my face everytime I see her curled up back there as I am going about my day. Happy Birthday Bassanova! 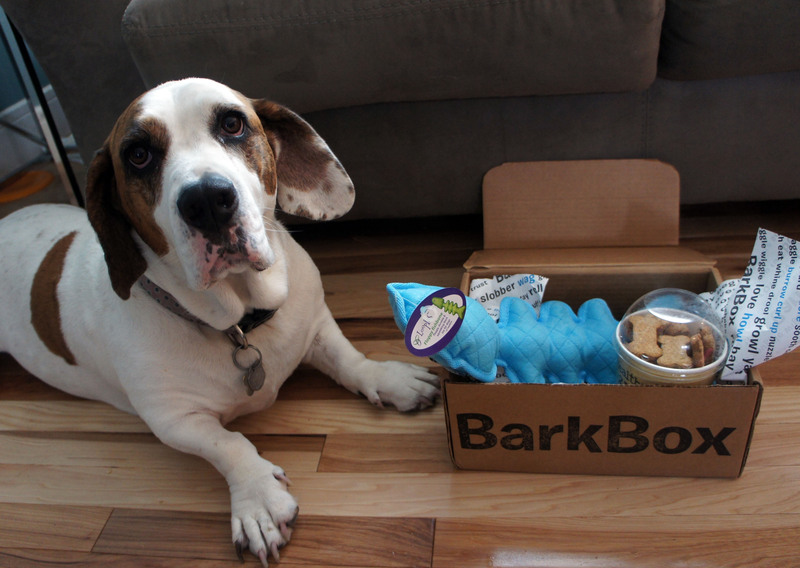 And thank you BarkBox for providing such a great product for the fur legged members of our family.